This article is about the Three Days Grace album. For the mobile phone, see HTC One X. For the video game console, see Xbox One X. For other uses, see onex (disambiguation) and 1X (disambiguation). One-X is the second studio album by Canadian rock band Three Days Grace. This is their first album recorded as a four-piece band, as Barry Stock joined the group and took over lead guitar from lead singer Adam Gontier. The album was released on June 13, 2006. They worked with producer Howard Benson for the album, a decision which proved to be a great move for the band, as the album was both a critical and financial success. It is their first and only album under Sony BMG, the successor to Sony Music Entertainment's original roots and Bertelsmann Music Group. The Sony BMG joint venture was dropped in 2008, which led to Bertelsmann's Sony BMG stake going back to Sony. Before One-X was released, the band previewed some numbers from the upcoming album on several occasions. They played four of the new songs, including "Animal I Have Become" and "Never Too Late", at the H.O.P.E. Volleyball SummerFest in Ottawa, July 2005. "Animal I Have Become" was released as a single and received substantial airplay before it was released with One-X. Previews for four of the tracks on One-X were able to be found on Three Days Grace's Online Trading Cards. Tracks that could be previewed were "It's All Over", "Pain", "Never Too Late" and "Over and Over". Adam Gontier wrote many of these songs during rehabilitation after being addicted to OxyContin (oxycodone), a pain killer. "Usually we all sit as a group, hanging out, working together, but here I was just alone, writing about how I felt," as Adam Gontier said in his docu-drama about his experience, Behind The Pain. The album cover depicts a string of connected paper dolls with checkmarks on all with the exception of one which is crossed out, thus One X. On the inside, the CD tray shows all red fish, except one black fish. This same image is also on the "Animal I Have Become" single cover. The lyrics are included in the album booklet. The album debuted at No. 2 on the Canadian Albums Chart. The album also entered the Billboard 200 albums chart at No. 5 with first week sales of more than 78,000 copies. One-X was met with mostly positive reviews. The Toronto Star complimented the album with a review title of "One CD worth buying..." and focused on its lyrics, saying, "The lyrics really speak out to you, especially if you're going through a tough time in your life." AllMusic reviewer Corey Apar praised the music, saying it "remains catchy despite its lyrical darkness". Kaj Roth at Melodic criticized the predictability of the album, stating "Three Days Grace has lost their soul, their debut was a lot better!" Roth, however, praised the songs "Animal I Have Become" and "Pain". In 2007, One-X earned the band an award for Rock Artist of the Year by Billboard magazine. They won a Media Base award for most played rock song on radio in Canada for their single "Animal I Have Become". One-X has been certified double platinum in Canada, and triple platinum in the US. All four of the album's singles as of February 2018 have gone platinum with "Animal I Have Become" and "Never Too Late" being multi-platinum. In addition, "Time of Dying", was certified gold in the same month. All songs written by Three Days Grace, with Barry Stock on all tracks, and Gavin Brown on tracks 2, 3, 4, 5, 8, 9 and 11. Ned Brower – background vocals on "Animal I Have Become" and "One-X"
Taylor Locke – background vocals on "One-X"
Paul DeCarli – Pro Tools editing, additional programming, programming on "Time of Dying"
^ a b c "Three Days Grace - One-X". Melodic (magazine). Retrieved May 1, 2015. ^ "About - Three Days Grace". Three Days Grace. Retrieved June 4, 2017. ^ Lin, Adena (May 31, 2007). "One CD worth buying..." Toronto Star. Retrieved August 13, 2009. ^ Apar, Corey. "One-X > Three Days Grace". AllMusic. Retrieved August 13, 2009. ^ "Retrieved 8 June 2013". Musiccanada.com. Retrieved June 9, 2013. ^ "Retrieved 8 June 2013". Riaa.com. Retrieved March 13, 2016. ^ "Three Days Grace Chart History (Billboard 200)". Billboard. Retrieved March 6, 2018. ^ "Three Days Grace Chart History (Top Rock Albums)". Billboard. Retrieved March 6, 2018. ^ "Three Days Grace Chart History (Top Alternative Albums)". Billboard. Retrieved March 6, 2018. ^ "Three Days Grace Chart History (Top Hard Rock Albums)". Billboard. Retrieved March 6, 2018. ^ "Three Days Grace Chart History (Canadian Albums)". Billboard. Retrieved March 6, 2018. ^ "Three Days Grace Chart History (Top Tastemaker Albums)". Billboard. Retrieved March 6, 2018. ^ "Canadian album certifications – Three Days Grace – One-X". Music Canada. Retrieved May 17, 2018. 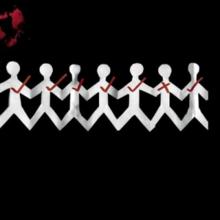 ^ "American album certifications – Three Days Grace – One-X". Recording Industry Association of America. Retrieved March 15, 2016. If necessary, click Advanced, then click Format, then select Album, then click SEARCH.